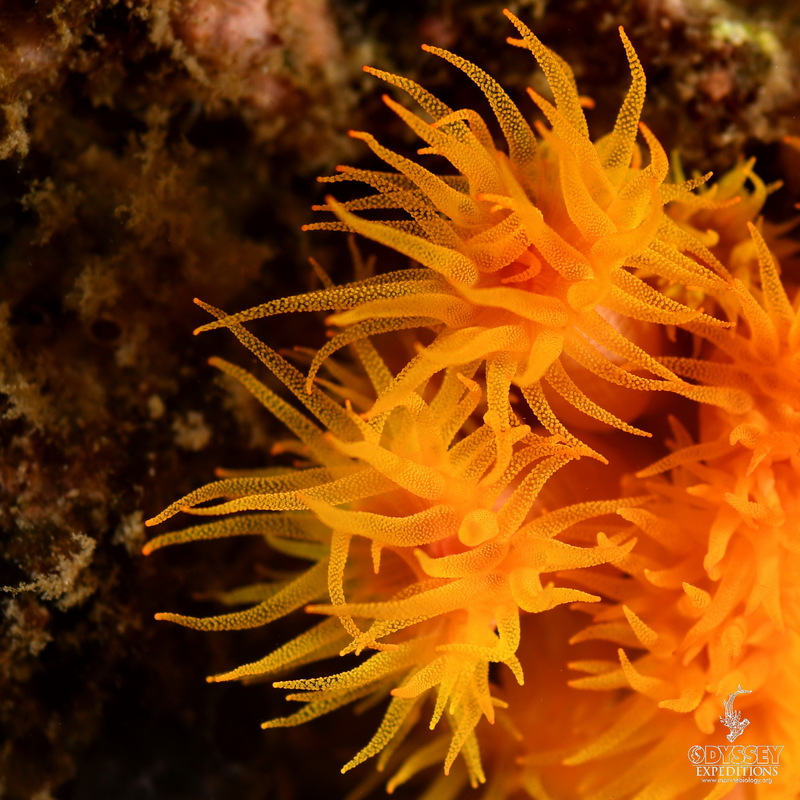 belongs to a group of corals known as large-polyp stony corals. This non-reef building coral extends beautiful translucent tentacles at night. Tubastraea coccinea is heterotrophic and does not contain zooxanthellae in its tissues as many tropical corals do, allowing it to grow in complete darkness as long as it can capture enough food, namely plankton. It is nice to see Tabastrea Coccinea in its natural environment. OCC has been introduced to all continents except Antarctica and is thought to compete with native benthic invertebrates for space and to compromise their communities. The reduction of native sponges and native corals could also have significant flow-on effects for entire ecosystems. OCC was introduced in the Caribbean in the late 1930’s or early 1940’s at Curaçao and/or Puerto Rico probably transported by fouled vessels, oil and gas platforms, artificial reef structures, or ballast waters. Tubus = tube; +astrea = Astrea – Astraea, daughter of Zeus and Themis, a goddess of justice named after the stars. coccineus = Latin meaning ‘red like a berry’, scarlet.